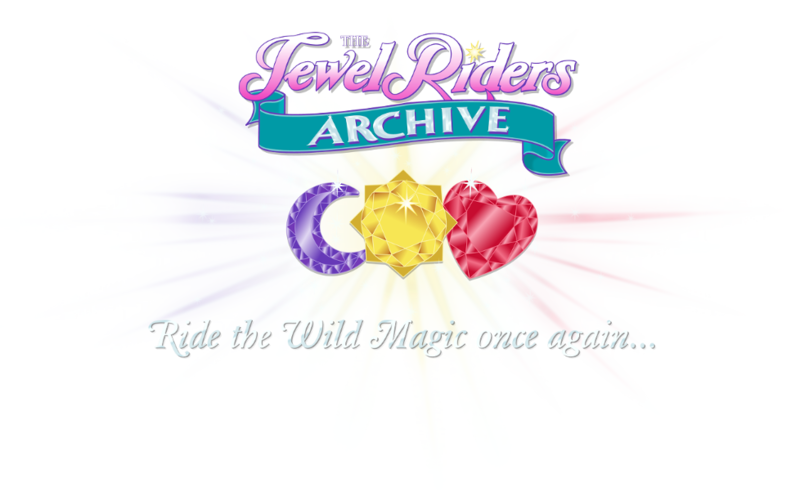 The Jewel Riders Archive (JRA) is a not-for-profit fan site devoted to the 1995/1996 cartoon series Princess Gwenevere and the Jewel Riders (also known as Starla & The Jewel Riders). Founded in 2015 by long-time friends and fans of the show, the site went live on September 10th, 2015 – twenty years to the original air date of Jewel Quest, the first episode of the show. The JRA’s mission is to collect, archive, preserve, and share materials related to the show in addition to fan works with the public. We update with new content on the 10th of every month! Send a message to the Archivists! I came to be a fan of Jewel Riders during its initial airing in the Fall of 1995. I distinctly remember watching “Jewel Quest” during its first local airing on the Sunday morning “Amazin’ Adventures” programming block (home to other shows such as Skysurfer Strike Force, Street Sharks, Ultraforce, Captain Simian and the Space Monkeys, and King Arthur and the Knights of Justice). Needless to say, I was hooked. The vaguely Arthurian setting combined with magic, gems, and cool animal friends (especially the Pack with their giant wolves!) was a recipe for success with my nine-year-old brain.The next Monday morning at school, my friends and I discussed the show, and we decided to buy a toy of one character each so we could play with them together at school. I had Drake (and later picked up a Gwen to go with him); I still own and display that Drake today. We had many adventures role-playing, drawing the characters, and watching/talking about the show. Those are very happy memories for me. The Jewel Riders community on Livejournal (where I am known as ry_sabir) was also the reason I created an account there. I’ve had the opportunity to meet a number of great people through this fandom, and recently took over management of the community after our founder departed their LJ account.In recent years I’ve dabbled in Jewel Riders fan fiction and occasionally doodle a bit of fanart. In fact, it was thanks to Jewel Riders that I began writing again after a many-years-long dry spell. So in many ways, this is so much more than just a cartoon to me – it’s where I met one of my best friends and a well from which creativity sprang back into my life. A lifelong best friend, memorabilia that I collect to this day, countless childhood memories…just how much can a fantastic show give? So many wonderful days spent with Chris in front of the television, toy in hand, watching a magical adventure! I fell in love with Tamara’s character. She was the best! Memories of role playing what we saw that Sunday morning on the school playground are some of my fondest. We recited entire episodes even down to reenacting the opening logos of the Family Home Entertainment videos. I wanted to be Tamara. Chris was Drake. Together we were Jewel Riders! On the search for lost jewels, using bicycles as horses, the neighborhood was an uncharted Land of Avalon filled with Wild Magic. Long before Legos started to brand their toys with favorite properties, Chris and I turned the medieval sets into the Jewel Riders, mixed with the Paradisa series to add some pink. There was the Royal Knight’s Castle, a wizard, and even a Fright Knights Witch’s Windship- the perfect Dragon Wagon for Kale! My Grandpa was pretty handy with a piece of wood and saw. Together we created an entire set of wooden Enchanted Jewels, Crown Jewels and Wizard Jewels. Grandpa cut the jewels with accurate precision. Even the intricate snowflake Enchanted Jewel featured in the “Trouble in Elftown” episode was a perfect replica. After the jewels were cut, I used his vast selection of paints (he would paint-by-number) to color each of the jewels by hand. The coloring was matched to the show. To the Enchanted Jewels I added a special glitter paint giving them a magical sparkle. The Heart Stone was my jewel of choice, of course. Grandpa even helped me to make a wooden Crystal Carriage! Many years later, I thought I had outgrown these and threw them away when I moved from home; juvenile stupidity. I urge anyone out there who may be thinking about throwing something away. You will regret it. Don’t do it! So many things my 19 year-old self thought I wouldn’t miss…hello, eBay! These are irreplaceable though. At least I had the good sense not to throw away my recorded VHS. Before Princess Gwenevere and the Jewel Riders, I had an Ariel doll and some Barbies, this was just something else to fuel the fire making my Stepdad not wanting me to have “girl” toys. 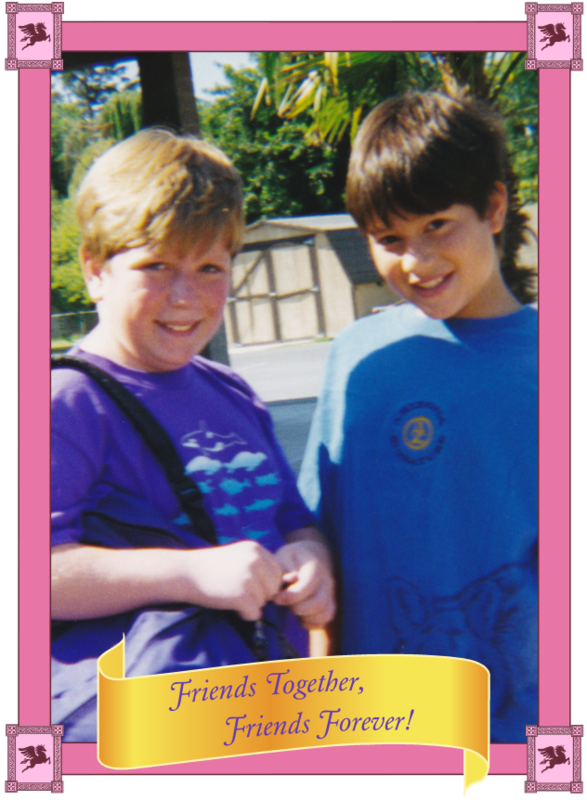 To be able to have my first Jewel Riders toy, Chris and I came up with a story in which I was to buy Tamara for a classmate. Needless to say, she never got her doll. So Tamara became the first of my Princess Gwenevere and the Jewel Riders collection. Later at a local drugstore I found the complete line of Jewel Riders makeup. Mom definitely wouldn’t let me get those. But I was able to convince her of buying the hairbrush for my sister. After about a week my little sister agreed to let me have it. It was during the summer, when I would visit my Dad, that I got the entire line of dolls. Sun Power Gwenevere and Sunstar were definitely the hardest of the toys to find- this was before online shopping. We finally found the two out-of-state on a road trip! Not long after the shows run, my Stepdad took away all of my Princess Gwenevere and the Jewel Riders collection and locked it up in a spare room…in The Office. It became a graveyard for my fondest possessions, a place littered with toys, childhood memories, and all things I held dear simply because they were branded as “for girls”. But as it usually happens, when you are kept from something, you want it that much more! Away from home, Grandma’s house became a refuge, a place to hide away my secret collection of new assorted dolls, books, movies and among them were the Jewel Riders! I was able to recover most items from The Office, but not all. I kept these in a living room closet. Perhaps a combination of fear and adrenaline was that the closet holding all of my possessions was just a few feet away from anyone visiting my Grandma’s house; it was so close to the ones who had locked the same items up in the first place. But my collection remained a safe-guarded secret. Sometime later, the show re-aired on network television…as the first airing of the day. To catch the adventures I would get up at 5 A.M., or some ridiculous time like that. With the re-airing came a renewed interest in the show for Chris and me. We began to doodle once again in class, talk about the show on the track, and look up pages like Stormy’s Avalon website; it became an obsession. I even brought the toys to school. It was right around this time that online purchases were being made possible. My Dad surprised me one summer with a Christmas in July filled with Jewel Riders presents: a sound book, sleeping bag, dolls, videos, and much more! Thanks to Dad my collection began to grow. Years later, Chris and I began to talk about the show once again. It was just after the then 10th anniversary. I brought out my dusty collection of VHS and started digitally converting the show. “Jump in the Ring, when destiny calls…” For the next ten years Chris and I renewed childhood bonds, rediscovered Princess Gwenevere and the Jewel Riders and began to discuss our ideas for a dedicated Archive. The next 10 years went by quickly. In-between I had converted all of the video sources, together we had scanned many images, increased our collections, and finally felt ready to begin the next chapter of our friendship: The Jewel Riders Archive!